‘Arc’ curves around any potential pitfalls by reappointing the core elements of what made ‘Man Alive’ great and framing them in smoother, more subtle songcraft. There’s neither swag nor swagger here, just talent and a single-minded creative vision worth every gasping breath it takes to keep up with. Everything Everything have their cake and they’re eating it too – Arc proves that they can keep their zany shade of indie and still be taken very seriously. 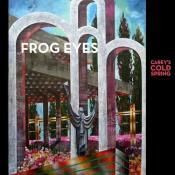 It reveals something that was previously swept up in the hurricaine of hype and the hyperactivity, namely that Everything Everything make perhaps the most beautifully uncool and giddy and vital, unironic indie pop the current market possesses. 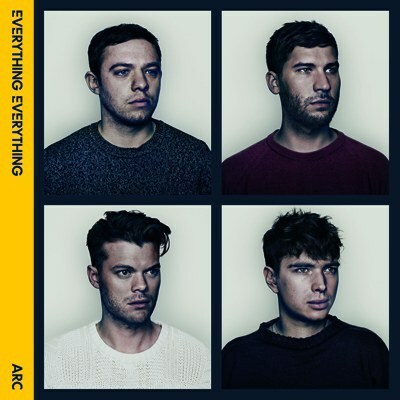 With Arc, Everything Everything stake their territory with an album that is more straight forward and accessible, but ultimately more gratifying. The self-conscious straining to be regarded as innovators and iconoclasts that occasionally muddled their debut is absent here; this is a record less bothered about surface than it is about feeling. The flat-out ridiculousness of Man Alive's most exhilarating material is gone, and in its place a mixture of perfectly concise, moving, visceral, often funny pop singles, perhaps one too many mid-paced laments, and a couple of rounds of roiling tirades. The sum is not the work of a band intent on playing it safe, but neither is it quite the adventure that their outlook suggests. Inevitably, Arc lacks coherence; it's the sound of a band working out who they want to be. It feels churlish to criticise Everything Everything for trying different things, but all too often their efforts feel like lightweight flirtations with a style rather than committed explorations. Higgs sums things up when describing the record’s cover in the press release: ‘Here we are in jumpers, trying to keep it real.’ It’s just a shame ‘real’ now sounds so trite. Some of the lyricism and the boybandishness of this LP makes me cringe so hard. Some songs aren't that memorable but it's great! Purchasing Arc from Amazon helps support Album of the Year. Or consider a donation?